WordPress has become a de facto standard of a online site builder and is used anywhere from a simple individual site to a very large news publishing organizations. WordPress hosting is something that is undervalued and misunderstood. Providers claim to have their servers “optimized” to run WordPress, when in reality it's not true. WordPress requires very little to run. However, to run well a lot of effort and knowledge is needed. This is exactly what we offer here. We can scale your WordPress site to any size and you will not have to worry about anything. 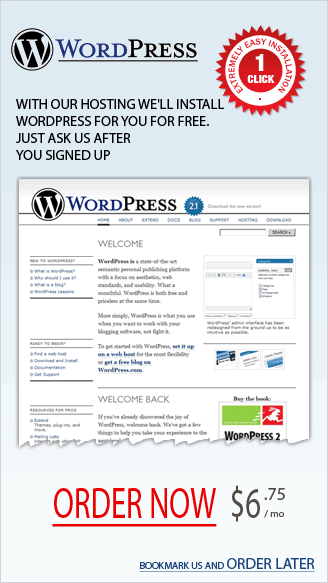 When your WordPress hosting account is set up you will have WordPress site installed for you. No need to do any 1-click installs or anything else. If you would like to install it yourself you can also do this with easy 1-click installation or a manual one.